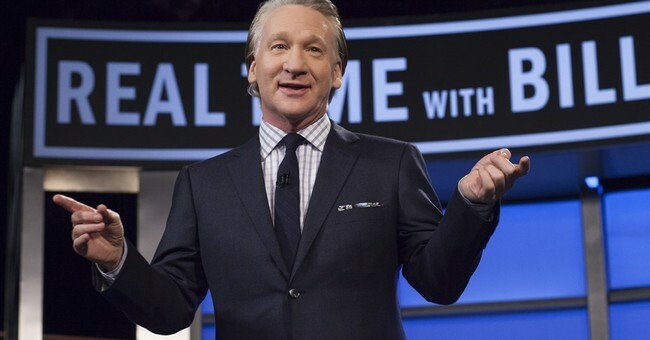 During his Friday night show, HBO Host Bill Maher slammed the Democratic National Committee's decision to bar Fox News from hosting a 2020 presidential debate. According to DNC Chairman Tom Perez, the decision was made because Fox "is not in a position to host a fair and neutral debate for our candidates." According to Maher, the DNC made a horrible decision. "Last week, the Democrats made a terrible decision when they announced that they had turned down Fox News's offer to host one of their 2020 primary debates, saying that Fox was nothing more than propaganda. OK, so why not go on Fox News and tell them that?" Maher asked rhetorically. According to The Hill, "Fox and Friends" hosts applauded Maher for his calling out his own political party. "How much truth he’s speaking to his own party about the resistance movement being a bunch of wimps — not actually getting in and fighting on ideas, for example, just taking cheap shots," Fox News's Ed Henry responded said in response to Maher's comments. "It's not just on [Maher's] show that Republicans are willing to go on," Co-host Rachel Campos-Duffy explained. "Most of the media is very liberal, and conservative Republican members of Congress are very accustomed to going on to CNN and MSNBC and ABC and taking tough questions, and yet the Democrats are afraid to do that." Maher is right. If the Democrats claim to be the "resistance" then they should be fearless. If they truly believe in what they're saying then they should have absolutely no problem answering the tough questions Fox News has for them. Conservatives have to continually talk to liberal news anchors and reporters because the majority of news outlets are liberal. If conservatives refused to talk to liberal outlets then they'd be construed as "cowards" who are hiding from the tough questions. It's 2019. Get it together, Dems. If your candidates are too afraid to answer questions they don't like while they're running for president, then they won't be able to handle the weight of answering tough questions while president.